If you like to lay down your own paint, then you should probably own a paint gun. The problem is that there are about 5 bajillion brands and styles of paint guns out there, making it tough to decide on what gun you need. For the average DIY gearhead, this can send your brain into meltdown, as there is a big difference between a $50 Chinese parts store gun and a professional paint gun that will hit your wallet for 800-900 bucks. 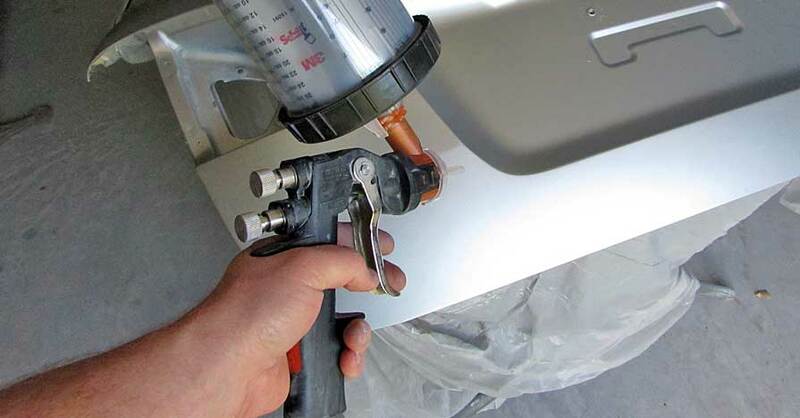 The interchangeable tips of the Accuspray gun line can cover every need of the professional painter. Orange is 1.4mm for paints and sealer. clear is 1.8mm for primer, lacquers, and adhesives. the red tip is 2.0mm for gelcoat, polyester resin, enamel, latex, and high-build primers. 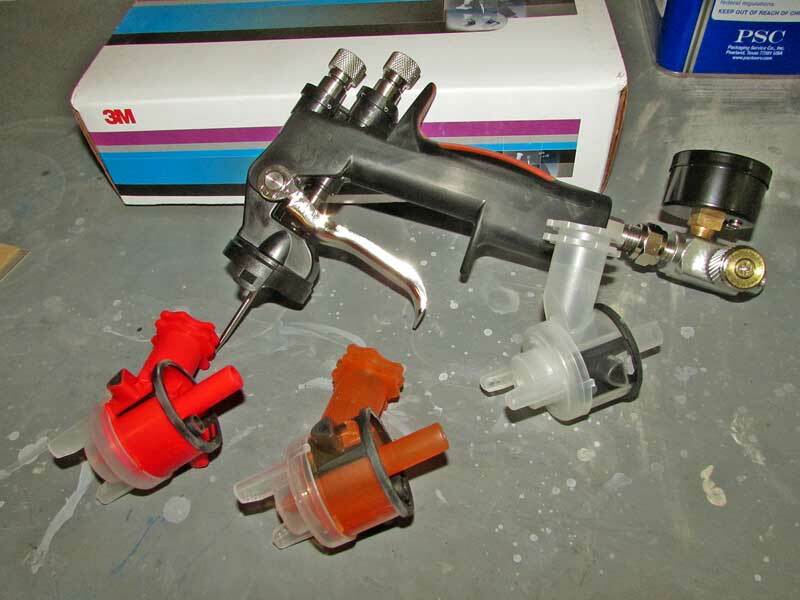 We recently had the opportunity to test out a new paint gun design from 3M, specifically the Accuspray HG14. This is a composite body gun (the main body is plastic), making it very lightweight and easy to hold for long periods of time, but that is not the most unique aspect of this gun. What separates the Accuspray from every other gun on the market is the tip design. With a simple click, you can swap out the tip for a fresh, clean one. No cleaning, no mess, no tools, just remove the old tip, wipe off the needle and then pop on a fresh tip (sized in 1.4, 1.8 and 2.0). You don’t have to worry about getting all of the paint out of the tip, keeping track of tools, brushes, etc. 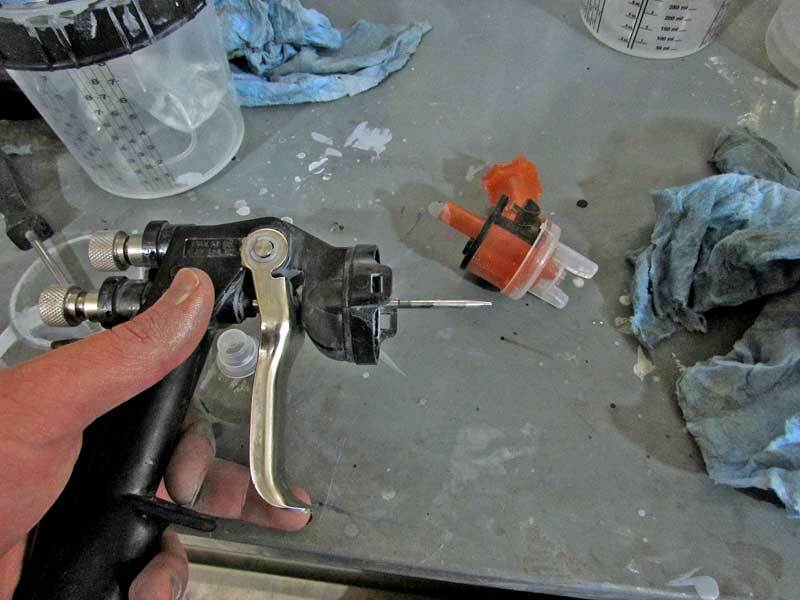 It is the most efficient method of cleaning a paint gun every devised- just throw the tip in the trash when you are done with it. 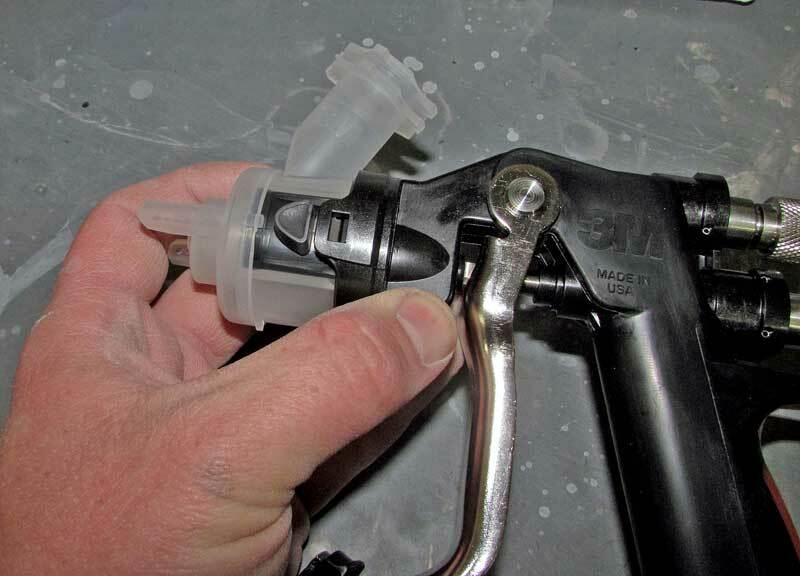 The tips lock into the body of the paint gun with two squeeze tabs. Make sure the sealing ring is fully engaged, otherwise you will have a mess on you hands, literally. For small production shops, this will save massive amounts of time. The tips cost around $20 for a box of five. Each tip can be used about five times before it needs to be tossed, so that means you can clean and store them away for repeated use, which is a good idea if you are doing multiple paint jobs, but for the average DIY builder, who only needs to spray occasionally, it saves a lot of time and hassle. The beauty of this interchangeable tip design is that you can rest assured that when you grab that paint gun to start laying down primer or color, it will essentially be a brand new gun, every time. The body of the HG14 has a built-in air regulator with a gauge. The PPS Paint Preparation System is utilized on this gun, which further simplifies the use and clean up functions. 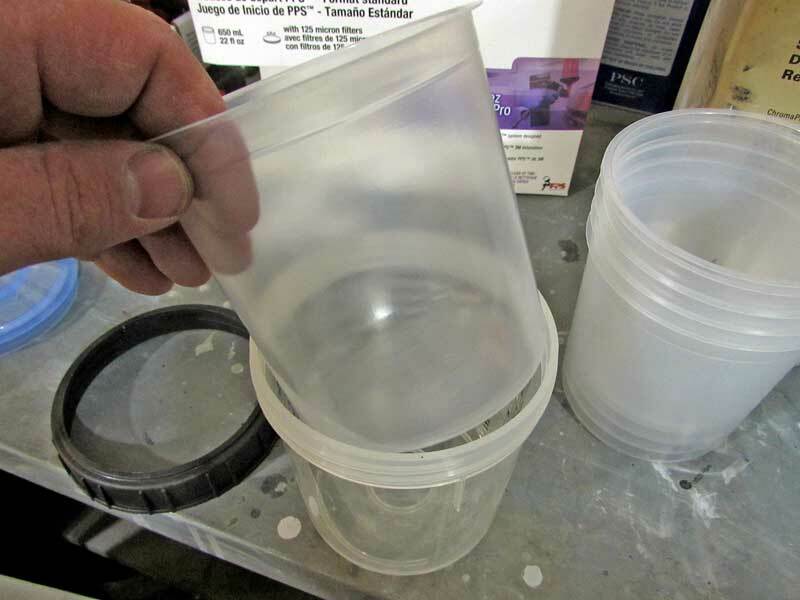 Instead of a static cup that has to be cleaned, the PPS system uses collapsing liners (like a trash bag) inside of a hard plastic cup. You drop a liner into the cup, fill it with paint, and then pop on the filter lid and thread the retainer ring onto the cup. The PPS cup twist-locks onto the head of the gun. When you are done spraying, the liner is removed and tossed into the trash. 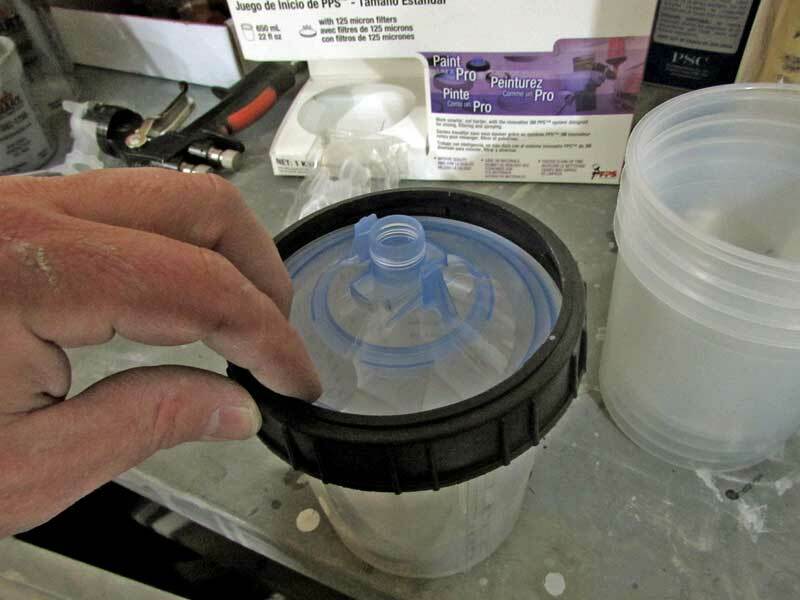 If you have non-catalyzed paint left over, then you can simply cap off the lid and save it for later. While the clean-up factor is a big selling feature, the most important is the ability to spray in any position. 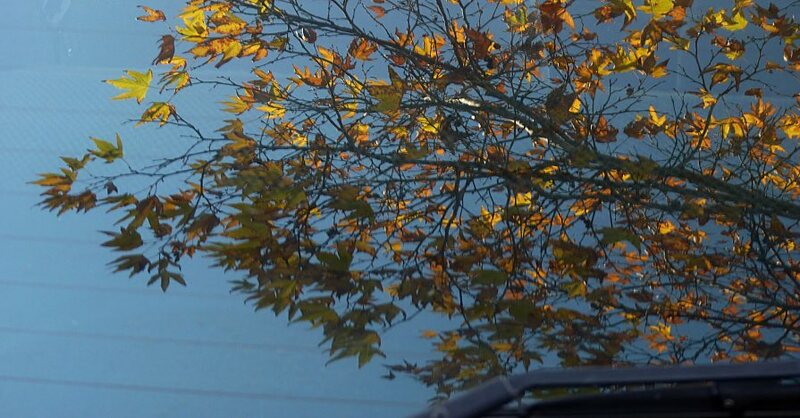 Because the liner is fully sealed, it becomes a vacuum inside, meaning every drop of paint is used and you can spray the paint in any position, even upside down. You simply cannot do that with just any gravity-feed gun. 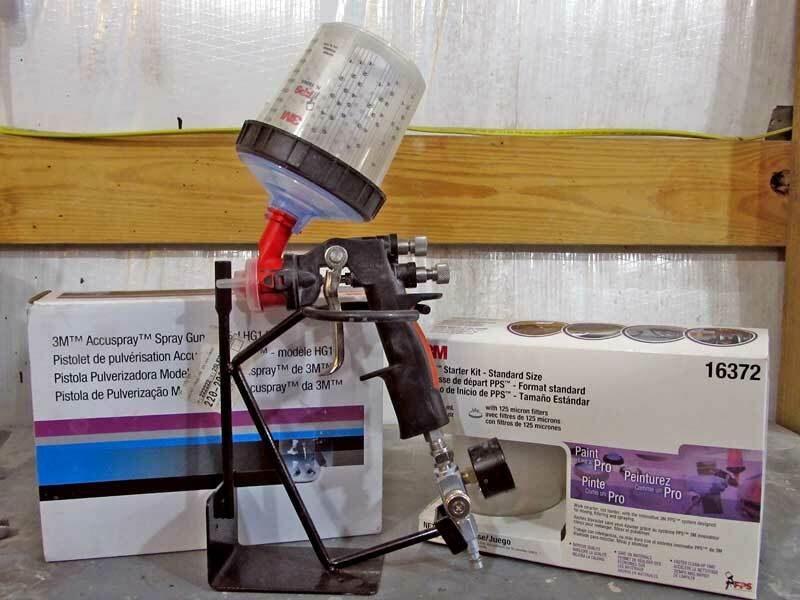 The PPS system makes mixing and storing your paint much easier, and it allows the paint gun to spray in any direction. 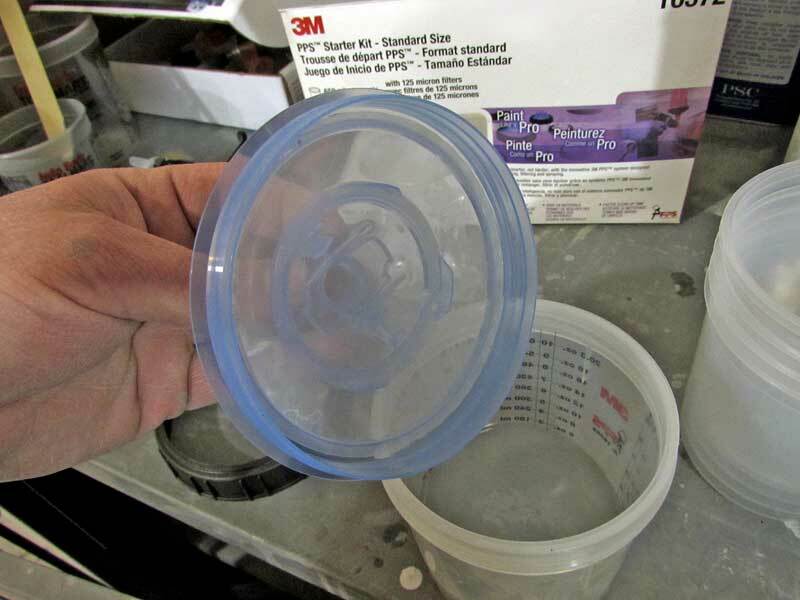 There are 3 components to the PPS system- the cup, the liner, and the filter-top. 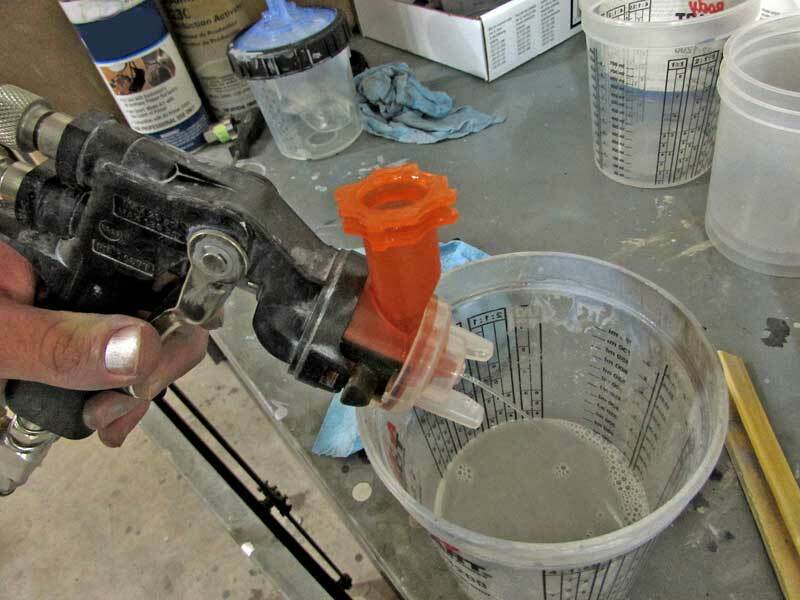 You can purchase a threaded adapter to use PPS cups on any paint gun. Drop a flexible liner into the cup. Then top it with a filtering top. 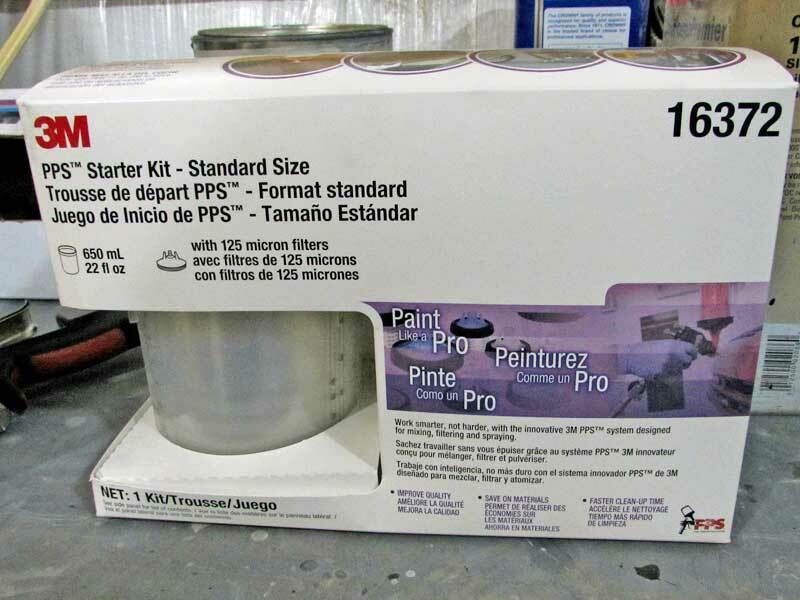 This eliminates the need to pre-strain your paints, though it never hurts to strain twice. Then the threaded top locks the liner into the cup. 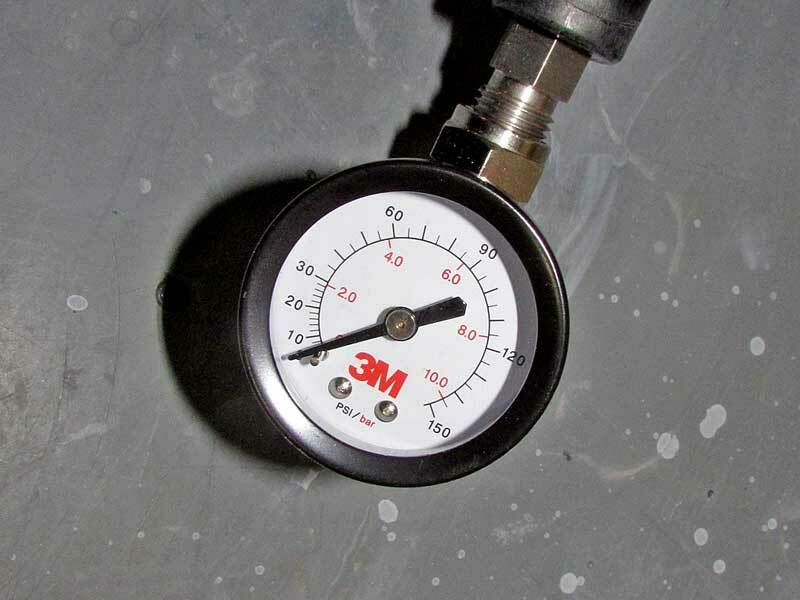 During our test, we noticed a few things about the 3M Accuspray gun. First off, it is very light, you don’t get tired holding the gun for long periods of time. The trigger is very easy to pull and feels good in your hand. We have used some other professional paint guns that cost almost $1,000 bucks, and the trigger is heavy and hurts after just a few minutes of use, the Accuspray feels very natural to hold. 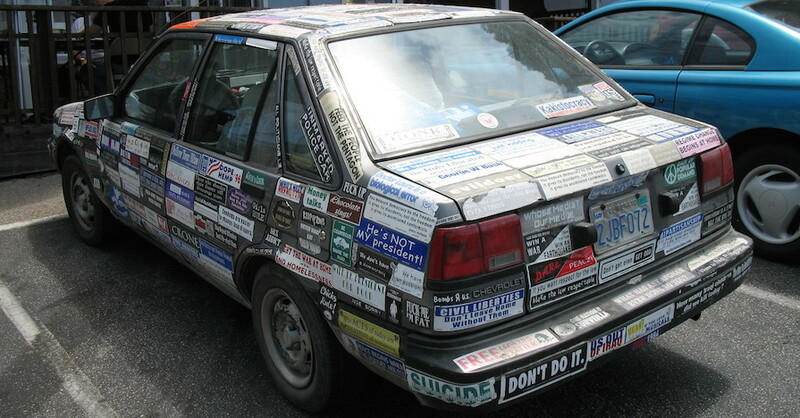 The Accuspray HG14 worked really well to spray all of the components for this body repair. 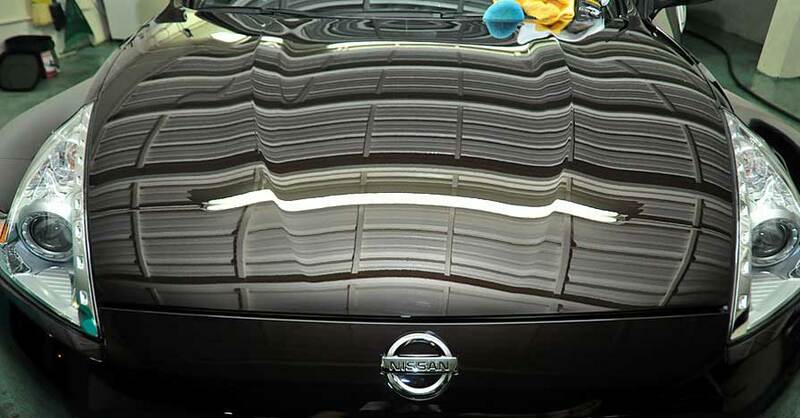 We had a small amount of paint available, and we didn’t waste a drop with the PPS system. The one caveat that we had discovered came from years of habit when dealing with paint guns. We used a 2.0 tip for shooting some primer, and then took the tip off and dropped it into some paint thinner for cleaning. This is a pretty typical move for a regular metal paint gun. We left the tip soaking for several hours while we blocked out the panel we were painting. The Accuspray tips are plastic with molded-in rubber seals. The thinner swelled up the seal, which made it is nearly impossible to reinstall into the gun without leaking. This was our fault, based in habit, the tips are not affected by paint thinner through normal use, but when left to soak in it, the seal swelled. There is just no reason to soak them. 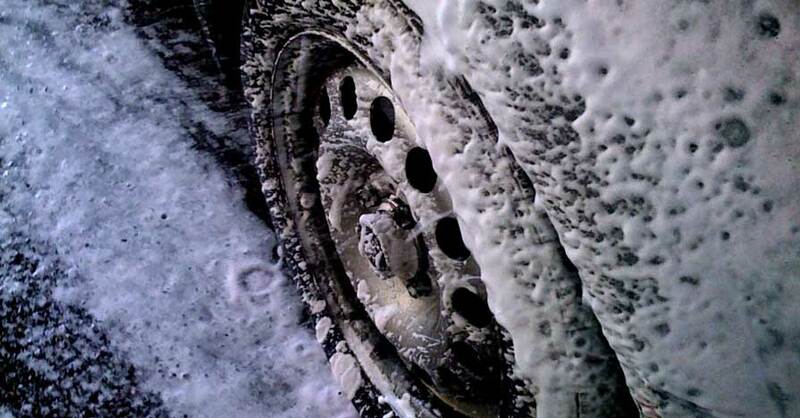 Proper cleaning for the Accuspray tips is as simple as running some thinner through the tip and wiping it down. We swapped out the tip for a fresh one, and the gun was like new again, just as advertised. 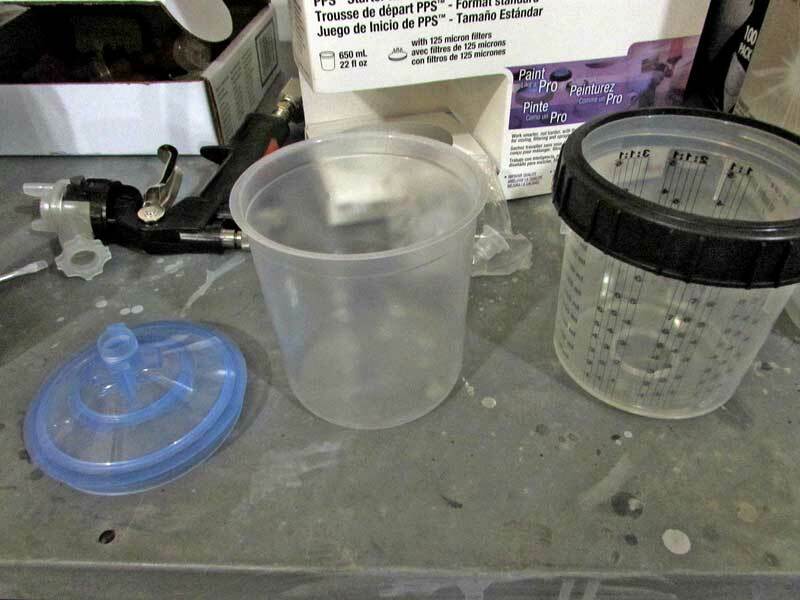 Don’t worry about soaking the tips in paint thinner, it is not a good idea. Instead, just run some clean thinner though the tip until it flows clean. The last step is to remove the tip and wipe the needle clean, all done. 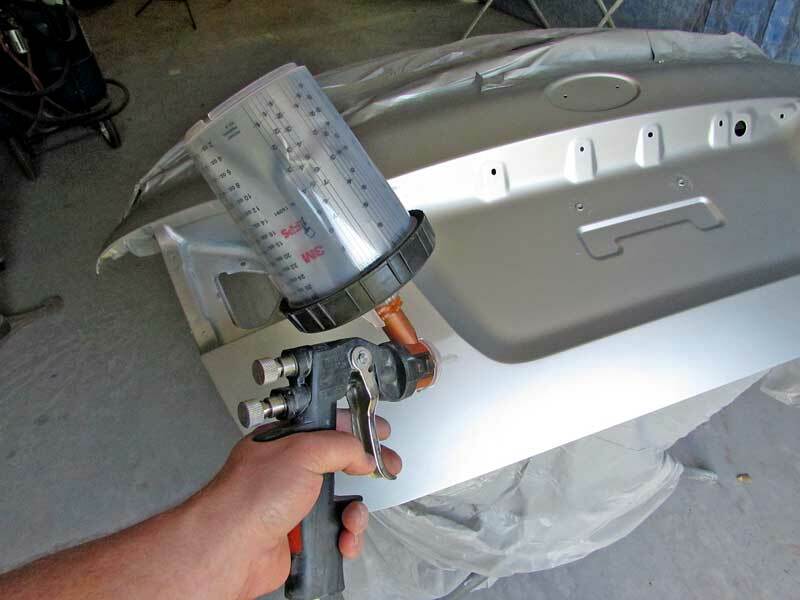 Where most paint shops have multiple guns set up for different paints- one for primer, one for color, one for clear, the 3M Accuspray paint gun can easily be used for all three without any special setup or tools, making it perfect for the DIY gearhead or the professional. At a retail cost of about $200, it is also very affordable. We are looking forward to spraying a whole car with this new paint gun. I noticed that this gun can be used to spray catalyzed or two part paints. I do my own boat repairs and spray gel coat. Normally, I flush my old style gun with acetone to get everything clean. Will these heads withstand cleaning with acetone? Paint thinner did not seem to do the job in my hands.